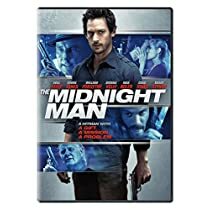 The midnight Man out now on DVD!! Will plays “Gady” an assassin who is unable to feel pain has his world turned upside down when he is suddenly able to feel it for the first time in his life. With the clock ticking, he battles his enemies while dealing with the tactile world for the first time. Looks like Will’s found his next film of 2016! According to Screen Daily he is going to co-star with Maggie Q in the Feature film “Slumber” shooting in UK. Sylvester McCoy (Dr Who, The Hobbit) & William Hope (Alien, Sherlock) are also cast. You are currently browsing the WillKemp.org blog archives for February, 2016.